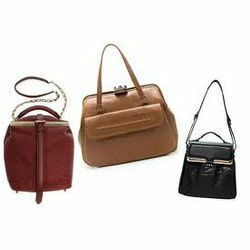 We offer our clients a wide assortment of leather frame purse, available in different colors as desired by our clients. Our range of leather frame purse are manufactured using finest quality leather. These Purses are designed by our designers and are available in various sizes, shapes and styles. We can also customize these pouches as per the requirements of the clients. Looking for Leather Frame Purse ?